Two major announcements were made this week. Both related to NZ forestry and the treatment of forests in the country’s Emission’s Trading Scheme (ETS). On Tuesday, a major report was released by the Parliamentary Commissioner for the Environment. It was suggesting an alternative approach to dealing with long-term climate change targets and policies. Some of the fundamental design principles of the country’s ETS were also questioned. The Government almost immediately dismissed recommendations made in the report that forests should only be used to offset agricultural greenhouse gas emissions. Instead, for the sake of providing “policy stability and predictability for emitters and the forestry sector”, they said that they’re committed to using forests as carbon 'sinks' for carbon dioxide and other greenhouse gas emissions. 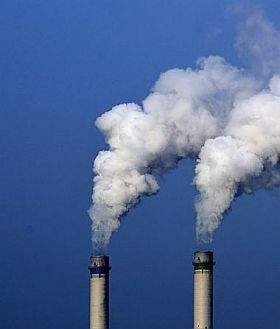 On Wednesday, a second set of changes to the Emission Trading Scheme (ETS) were announced by the Government. The announcement included the introduction of averaging accounting for all forests registered from 1 January 2021 and the option of using the new accounting method for all forests registered in 2019 and 2020. This means owners will no longer have to measure and report on the amount of carbon being stored or face a carbon liability when trees are harvested. The idea here is to make the scheme simpler and to provide certainty to those planting or investing in forestry. Links to both releases along with more information are contained in the stories covered this week. And some more good news. All of us over the years have been doing our level best to encourage or enthuse youngsters to look at forestry as a future career option. Efforts though typically have been localised. Resources to go with the site or school visits or the career open days more often than not are cobbled together at the last minute. For a major export earner and with skills shortages already identified as a significant constraint to the future growth of our industry, let’s be honest, we’ve really been sitting on our hands. Compared to the efforts of most other major industries, our efforts in this space have left a lot to be desired. Anyone who has been to a recent careers’ day will tell you that a couple of pull up banners and a few brochures these days don’t really cut it. To finally put some grunt into this space, a new web portal, forestrycareers.nz has just been launched in New Zealand. It’s designed to answer all those questions posed by those that may be interested in forestry education, training and careers. Information is provided on a wide range of jobs, with an outline of the work involved, salary range, and what training or education might be needed to match each of the jobs. A comprehensive training section details the many regional and national education and training courses that are on offer. Scholarships, awards and other assistance packages available to help those looking at heading down this path are also profiled to encourage students. It’s a one stop shop. It’s still being added to but congratulations to all those involved in pulling the site and material together. It’s going to provide an excellent resource. As a company, as a trainer, as an industry association or Wood Council, your aim should now be to build in links to the new site and resources into your own web pages. No doubt further materials will be made available to those on the front line working with their local schools and students. As these are developed, we hope to be able to pass on information to help you and your staff, your contractors and local training providers to use. That’s it for this week. Enjoy this week’s read. 12-storey wood buildings now OK in B.C. Forestry Minister Shane Jones and Climate Change Minister James Shaw on Wednesday announced a second set of changes to the Emission Trading Scheme (ETS) as part of broader reforms to make the scheme fit-for-purpose. 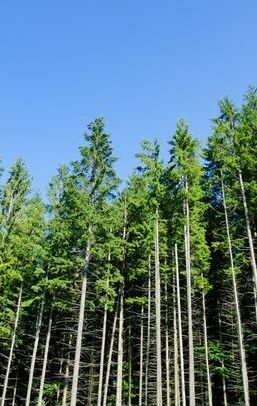 “The announcement includes the introduction of averaging accounting for all forests registered from January 1 2021 and the option to use the new accounting method for all forests registered in 2019 and 2020,” Shane Jones said. James Shaw said Cabinet had also agreed to several operational changes to streamline the ETS process for forest owners. “We will improve the emissions rulings process where applicants can get an assessment of their land prior to investment and enable the use of a mapping instrument to make applications even easier,” James Shaw said. Click here to take a closer look at the changes being made to the country's ETS. For the forest owners comments on the announcement, click here. A new web portal - forestrycareers.nz - was launched in mid-March by the Forest Growers Levy Trust (FGLT). The portal is a comprehensive starting point for anyone interested in forestry education, training and careers, providing information and directing users to other relevant websites and sources of information. The web portal contains information about the myriad of career opportunities in forestry. It covers options from practical roles in silviculture and harvesting to forest management, engineering, surveying, research, administration, human resource management, IT and others. Information is provided on some 30 types of jobs, with an outline of the work involved, salary range, and what training or education might be needed to match the particular job. A comprehensive ‘Training’ section details the many regional and national education and training courses on offer, again covering the full range from entry level practical and academic courses through options for further training mid-career to ideas for people thinking of moving into forestry from other sectors. There are links to the various course providers’ websites and contact people. The new resource – with details and links - should be linked to your own company, association or Wood Council web pages, can be viewed on forestrycareers.nz. Unfortunately, this is a sight that is all too familiar in logging operations throughout New Zealand forests, with some estimates putting breakages as high as 75% - that’s three quarters of the crop. Amazingly, its accepted as normal practice by forest companies and contractors alike. But now something is being done about it. 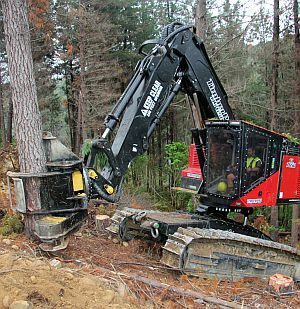 Two Nelson based harvesting contractors, Nathan Taylor and Hamish Matthews, working with Ian Wilson, have put a fixed felling head with lateral rotation onto a new levelling felling machine for their Nelson operation - the first of its type in New Zealand. They have discovered just what a huge difference this style of machine can make to minimising felling breakages and improving the way they extract trees on steep terrain. A report about taking an alternative ‘landscape approach’ to Aotearoa New Zealand’s long-term climate change targets and policies has been released this week by the Parliamentary Commissioner for the Environment, Simon Upton. “It focuses on dealing with our agricultural greenhouse gases and forest sinks together, while dealing with fossil carbon dioxide emissions separately”. New Zealand has witnessed dramatic changes in land cover and land use, each of which has moved round large amounts of carbon. The way New Zealand responds to climate change will once again drive land use change. “Since carbon dioxide is the main driver of global temperature rise, serious climate action to tackle New Zealand’s gross fossil carbon dioxide emissions can be delayed no longer. The scale of the climate challenge is such that, to meet it, the shape and structure of our economy and our rural environment will look very different”. Forests are at risk from fire, disease and climate change itself. Managing a long-term problem with a short-term ‘fix’ is risky. Under an alternative approach explored by the report, fossil emissions would be managed down to zero by the second half of the century, separately from biological emissions and forest sinks. While biological emissions would need to be reduced, that would not be to zero because of their shorter lifetime in the atmosphere. Biological emissions could also be offset with forest sinks. This approach more closely aligns the duration of the warming impact of these emissions and the duration of forest sinks that offset these emissions. 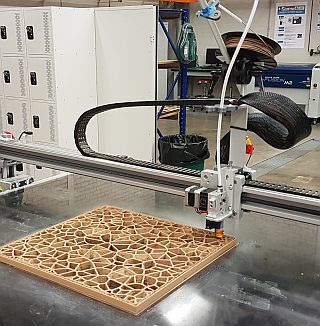 New Zealand’s 4th Annual Changing Perceptions Conference (part of the WoodWorks service) is focussed on the growing use of engineered timber in commercial construction. 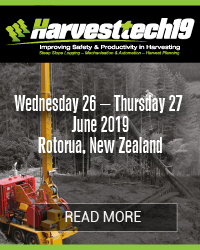 It is scheduled to run on 3-4 September 2019 in Rotorua, New Zealand. This event will be showcasing the use of engineered timber case studies as well as exploring changes in timber use in New Zealand. The value of wood will be explored from different angles, including cost and climate change / carbon considerations. The target audience for the event are developers, architects, engineers, building designers, specifiers and quantity surveyors. This conference will continue on from the previous three events in this series, exploring further the use of engineered timber in buildings both in New Zealand and what we can learn from others around the globe. The organisers are working closely with a wide range of well-developed project managers, suppliers and engineers to develop a strong and innovative programme. If you are an early adopter, developer, innovator, technology supplier, service provider or applied research practitioner within the engineered timber and construction sector, the Changing Perceptions team would like to hear from you. -	Building Performance Issues: Do timber solutions stack up? -	Multi-Residential Buildings: Framing, Mass Timber or Hybrid? -	Case Studies: Small, medium and large. 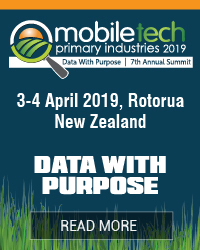 If you are interested in being considered as a presenter, or would like to recommend an early adopter, case study or international expert, please contact the conference organiser: John Stulen, Tel: +64 27 275 8011, john.stulen@innovatek.co.nz. Climate Proofing Australia (CPA) has welcomed the Federal Government’s announcement of a AU$30 million pilot Agriculture Biodiversity Stewardship Program, and urges for more to be done to incentivise carbon projects that deliver the co-benefits of biodiversity, productivity, water quality and landholders and employment. “CPA calls on the Government to remove existing barriers in the ERF architecture that have limited the land sector’s participation, and direct at least AU$500 million from the ERF for land-based projects that also deliver environmental and productivity benefits,” Mr Foran said. The height limit for wooden buildings in B.C. is rising to 12 from six storeys in a move that Premier John Horgan expects to spur development using timber and give the province a head-start on other parts of the country. B.C. is changing its building code to allow the construction of taller wood buildings as a safe, economic and environmental alternative to concrete apartments and office buildings, Horgan said Wednesday. B.C.’s building code changes come a year ahead of expected changes in the national building code, which are also expected to increase height limits for wood buildings to 12 storeys, Horgan said. “We’re not waiting for the rest of the country to get here,” said Horgan. “We already know that the product we’re building, that we’re creating here, is fire resistant. We know that we can build faster and we know it’s better for the environment.” He said he expects local governments and First Nations to approve more wood buildings for family apartments, student residences and business locations. 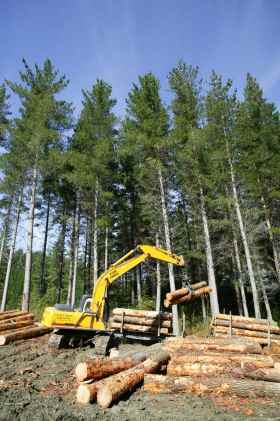 Forest Owners want clarity for what New Zealand plantation forestry is expected to deliver on climate change targets. The Parliamentary Commissioner for the Environment, Simon Upton, has just issued a report which downplays the contribution of forestry in sequesting atmospheric carbon, and instead wants to drive down fossil fuel use. The Mjösa Tower was officially opened on 15 March 2019, taking over the title of the world’s tallest wooden building. 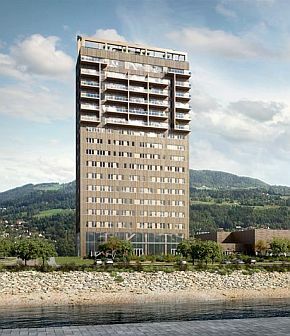 The 18-storey building, located in Brumunddal, Norway, reaches up to a height of 85.4 metres. The building includes a hotel, private homes and office space. Metsä Wood‘s fast, light and green Kerto LVL (laminated veneer lumber) products were used in the intermediate floor elements of the building. The Mjösa Tower symbolizes environmentally friendly thinking in construction, and it is proof that tall buildings can be built using wood. 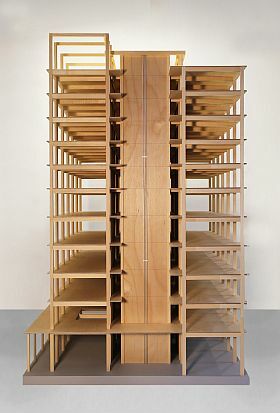 The design assignment of creating such a tall wooden building was a positive challenge for Øystein Elgsaas, architect and partner at Voll Arkitekter. “We want to inspire others to build the same way,” said Elgsaas. The structure is similar to conventional buildings, but the dimensions of the elements are much larger than usual. Both the structure and façade of the Mjösa Tower are made of wood. The load-bearing structure consists of glulam columns, beams and diagonal members, which suits high-rise buildings well. The first ten floors are made of prefabricated wooden elements. The decks on the upper floors are made of concrete, to restrain the building and keep it from swaying. Australia's forestry industries are set to benefit from more than AU$2.4 million of new research through the second round of projects funded under the National Institute for Forest Products Innovation (NIFPI) centre in Mount Gambier. Assistant Minister for Agriculture and Water Resources, Senator Richard Colbeck, and South Australia's Minister for Primary Industries and Regional Development, Tim Whetstone, have congratulated the grant recipients and welcomed the benefits these projects will bring to Australia and South Australia. "These projects will create jobs by driving forestry research and development in areas such as worker safety, carbon emission targets, design standards, biosecurity, fire detection, and genetics," Minister Colbeck said. "The total value of these projects is more than AU$5 million through a combination of Australian and South Australian Government funds, together with funding and in-kind contributions from industry and research agencies. "Forestry is an important industry in South Australia and Mount Gambier is leading the way in research and development on Australia's plantation forests," Minister Whetstone said. Launceston NIFPI projects will be announced soon. Find out more about the successful NIFPI recipients and the round two projects here: www.nifpi.org.au. "You can transform personal computing into truly collaborative computing where devices become lenses into our connected world." 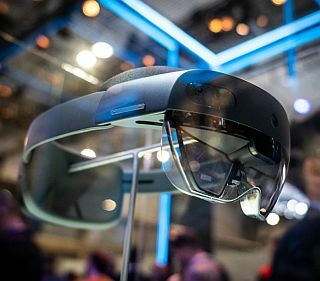 To help build HoloLens 2 into an enterprise collaboration tool, Microsoft is working with augmented reality company Spatial to provide remote users with the opportunity to use HoloLens 2 to meet as 3D avatars in a virtual meeting room where each user can interact with the AR environment using touch and voice commands. Two Irish engineers Patrick and Seamus (Design Engineers) were standing at the base of a flagpole, looking up. "We're supposed to find the height of the flagpole," said Patrick, "but we don't have a ladder." The woman took a wrench from her purse, loosened a few bolts, and laid the pole down. Then she took a tape measure from her pocket, took a measurement, announced, "5 metres" and then walked away. Seamus shook his head and laughed. "Ain't that just like a blonde! We ask for the height and she gives us the length!" And a Brexit one to finish on. Meanwhile, Obstetricians felt certain everyone was labouring under a misconception, while the Ophthalmologists considered the idea short sighted. Pathologists yelled, "Over my dead body!" while the Paediatricians said, "Oh, grow up!